Right now I’m sitting on my couch watching an episode of “Arrow” that’s been languishing on my DVR for almost a month. And I started the evening with an equally ancient episode of “The Flash.” It’s safe to say that despite what I wrote last month I haven’t been keeping up with all the superhero shows I record each week. None of the others either, come to think of it. I haven’t even watched “Once Upon A Time” in three weeks and it’s my favorite! Between work and my strict exercise regimen I just don’t have time to devote to television these days. As much as I’d like to veg out sometimes. This probably explains why my DVR was almost full when I got back from Arkansas on Monday. I needed to take drastic action! The first show on the chopping block was “Supergirl.” Even though it is part of the suite of superhero programming on the CW I haven’t even caught up on season 1 on Netflix yet. And barring something that sidelines me for a while, like a week-long illness, I have no chance of being ready to watch the current season’s episodes anytime soon. So “Supergirl” is toast. Next up was “Elementary.” I’m a huge fan of everything related to Sherlock Holmes, but this is one of the shows at the bottom of my priority list. I figured that with all of the other programs out there to entertain myself I wouldn’t even miss my weekly dose of the British detective. I’d much rather wait for the return of “Sherlock” on PBS in January anyway! So that’s two shows stricken from the record. After that I realized I had freed up a decent amount of space on my DVR so further cuts weren’t necessary. Yet. We’ll see how far behind on my TV watching I get over the holidays. Now if you’ll excuse me I’m going to watch an episode of “Legends of Tomorrow” before I go to bed! It’s no secret that I love television. (Over just the past year I’ve written posts about X-Files, MST:3K, Doctor Who, and Once Upon A Time. It’s enough to make me think I need to pick up another hobby.) But after the spring finales of my favorite shows earlier this year I didn’t have much to watch. That turned out to be a good thing. I was running several times a week and going to the gym just as often so there wasn’t a lot of time left over for zoning out in front of the TV. In the evenings I often turned on episodes of the Simpsons on FXX, but even then I was busy doing other things around the house at the same time. There was very little parking myself on the couch and focusing all of my attention on some show or another. And it was a great summer because of that. I just didn’t know what was going to happen when the fall premieres rolled around. At first I was determined to reduce the number of shows that I record and watch every week. Without a new season of Doctor Who until next spring (except the Christmas special which I am anxiously awaiting), I have very few must-watch programs. In fact, Once Upon A Time is just about the only one. Weeknights always seem so short so it’s nice to not feel like I don’t have any more demands on my time and energy. 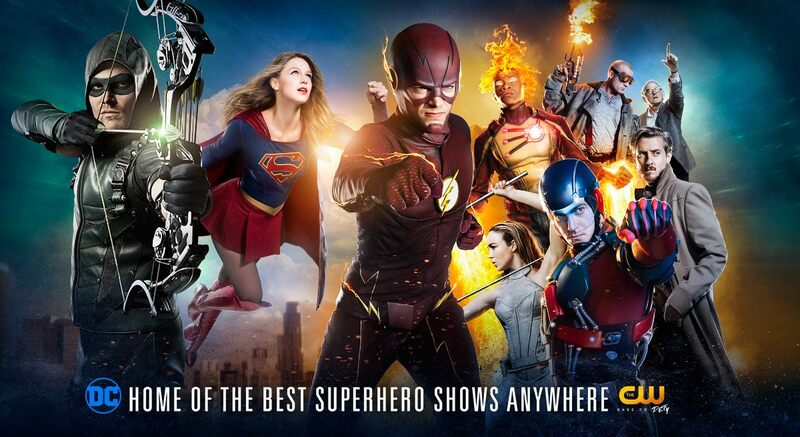 So my first thought as the fall season started was to stop recording all of the CW DC Comics shows – all four of them! It’s not like I’m all that invested in any of the story lines, and freeing up four hours per week was a nice bonus. Too bad I never followed through. So far I’ve been saving the new episodes of Flash, Arrow, Supergirl (I’m still catching up on season 1 on Netflix), and Legends of Tomorrow for weekend viewing. They are the perfect entertainment while I’m recuperating from a long run, like the Long Beach half marathon last weekend or Surf City 10 this morning. I was fooling myself if I thought I could easily abandon anything superhero-related. I’d like to respectfully request that none of the networks launch any new shows in that genre any time soon. I know it’s wishful thinking given the popularity these days, but I don’t need to watch any more TV than I already do! Thank goodness for technology. I was getting caught up on this season of “Arrow” this afternoon when I accidentally deleted the most recent episode before watching it. Oops! Obviously I still have some things to learn about my DVR. Luckily cable TV providers aren’t the only game in town anymore. (Actually the first place I looked for the episode was Time Warner’s On Demand catalog, but it wasn’t there. Two strikes for cable TV.) Instead I turned to my iPad. It only took a few minutes to download the CW app and start watching last week’s episode. Not too many years ago I would have had to wait for summer reruns to see whatever I’d missed! But now with readily available episodes of just about every television show you could ever want to see streaming online, my little DVR mistake made no difference at all. I love it! I’ve been under a lot of pressure at work lately and watching TV when I get home each evening helps me unwind. Unfortunately it also keeps me from getting an optimal number of chores done around the house, but it’s a small price to pay for stress relief. Now if you’ll excuse me, I’m going to relax and watch Sunday’s “Once Upon A Time” before going to bed!